Today’s technology in a small box. 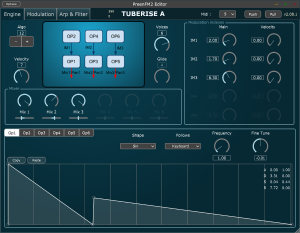 Powerful arpeggiator (Mutable-Instruments opensource algorithm). The 4 instruments can be saved all at the same time in combo presets. Each instrument has its own modifiable midi channel. They can share the same for FAT quadruple timbres notes. Modifiable number of allocated voices… Between 1 and 14. 7 low frequency modulators (3 LFOs, 2 enveloppes, 2 step sequencers). 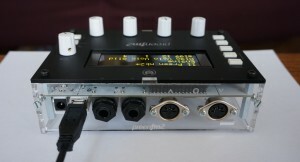 Arpeggiator, LFOs and step sequencers synchronizable on external midi clock or internal clock. 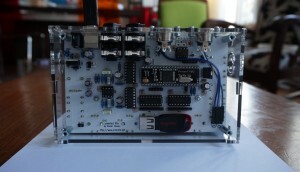 7 builtin waveforms + 6 user waveforms read from the usb drive. Direct Scala scale file loading for microtonality. 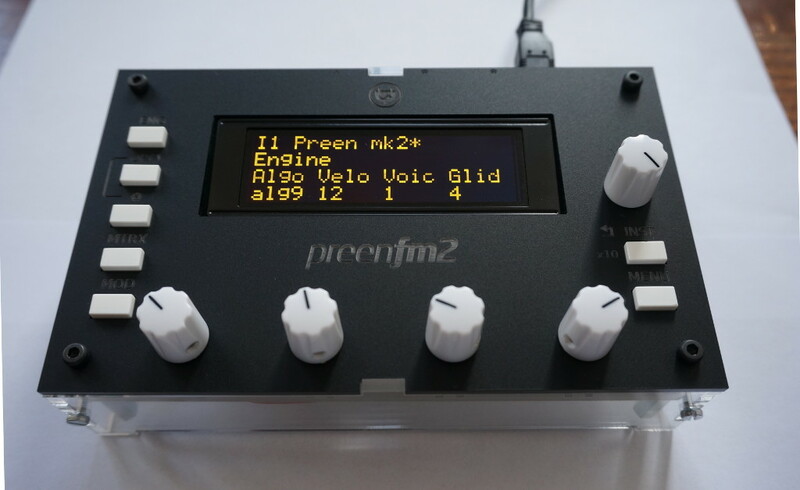 Up to 128 Scala scales selectable from the preenfm2. 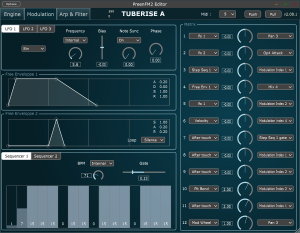 USB drive: huge preset banks: 64*128 presets, 8*128 combos, 256*32 DX7 presets. The USB drive holds your preset banks, you scala scale files, your user waveform files. Easy firmware upload and flash. Know you hardware : 100% open source (compiled with GNU toolchain) and open hardware (only very standard components). Custom bootloader with 3 ways to upgrade firwmare: Usb stick, sysex through Din5 or DFU.